Pharma Franchise for Cardiovascular medicine Range – In the last 15 years, there is a continuous rise in cardiovascular diseases in India. These heart diseases are leading towards the cause of life loss. The death rate due to cardiovascular diseases (CVDs) has reduced 41 percent in the US whereas in India it rises nearly to 34 percent between 1990 and 2016. There are very less pharma franchise companies in India for Cardiac medicine range. Therefore we, Stensa Lifesciences introduces the Pharma Franchise for Cardiovascular Medicine Range all across India, with the purpose to deliver heart medicine in every region. Smoking, consumption of alcohol, unhealthy foods and lack of exercise often leads towards the many cardiovascular diseases like High blood pressure, a heart infection and heart attack. Therefore the demand for cardiovascular medicine is increasing rapidly in all the districts of India. Therefore opting business field of Pharma Franchise for Cardiovascular Medicine Range will prove best for someone, who is looking forward to establishing himself in the pharma industry. Just you need to choose the best pharma franchise company in India. If you are looking forward towards this particular pharma franchise business, then you are at right place. Join with Stensa Lifesciences and feel the best business experience in the pharma sector. To know more regarding the pharma franchise business opportunities contact us at +91-8725010016. Even you reach to us through writing us on stensalifescience@gmail.com. Drugs approved by DCGI will be supplied. GMP and WHO certified manufacturing units. Market rates are reasonable for quotation prices. The company will provide you with good marketing tools and equipment. We assure you that our cardiovascular medicine range will be delivered quickly throughout India. Stensa Lifesciences is a genuine and trustworthy Indian pharmaceutical franchise company that many happy customers across the country consider best. We strive for better treatment to deliver pure and safe medicine to people. Through our business opportunity for PCD Pharma Franchise Cardiovascular medicine Range, we look forward to achieving this goal. Our partners in PCD Pharma or Franchise are happy to work in their region independently. Join us and get a golden opportunity being your own boss. Stensa Lifesciences is a reputed pharma franchise company with ISO certification. We offer franchise deals for PCD throughout the nation. We cover all states such as Himachal Pradesh, Uttarakhand, Mumbai, Rajasthan, Sikkim, Punjab, Maharashtra, Tamil Nadu, etc. Under certain criteria, the franchise for cardiovascular medicines can be taken. To know your eligibility for this, you can call us or contact us. The franchise may also be joined by cardiac medicines distributors, wholesalers, retailers, agents, etc. 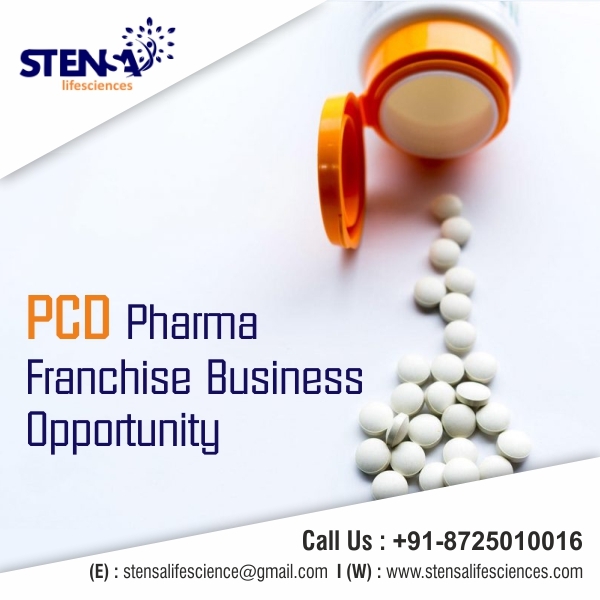 Our pharma franchise company, Stensa Lifesciences offers PCD franchise for cardiovascular drugs of the highest quality and pharma franchise for cardiovascular medicine range. In all of India’s states, we offer exciting and great business deals. Stensa Lifesciences offers a wide range of cardiac medicine and supplementation options. Rapid delivery of medicines in time. The rights of monopoly are distributed here. Long – term transactions and transparent transaction. All medicinal products are available on time, which is guaranteed here. Attractive marketing tools such as Bags, Visual – Aid, Visiting Cards, Pens, Gifts etc.